Wilms tumor, a cancer of the kidney, is one of the most common types of pediatric cancer. Approximately 500 new cases are diagnosed in the U.S. each year. Wilms tumor occurs in young children, usually 3 to 4 years of age and presents as a mass in the abdomen. Wilms tumor and other renal cancers may change kidney function. Renal function is important in fluid and salt balance, regulation of blood pressure, red blood cell production and bone growth. In addition, kidneys help excrete toxins and drugs from the body. Children with Wilms tumor are at risk for changes in kidney function due to surgery to remove the kidney affected by the cancer, medications including chemotherapy, or radiation therapy, needed to treat the cancer. If one kidney is damaged or removed, the other kidney will increase in size and function. We do not know how well a kidney with a tumor functions or when changes in renal function take place. The common test used to assess renal function is measurement of serum creatinine. However, this blood test was developed for adults. The physiology of children — particularly young children — is substantially different from that of an adult. Creatinine is a reflection of muscle mass, and is not an accurate marker of renal function in infants and children with depleted muscle mass. 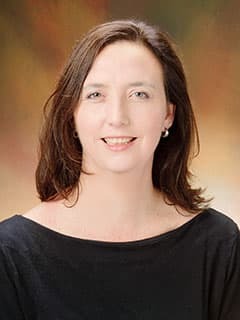 Elizabeth Fox, MD, and researchers at the Center for Childhood Cancer Research are investigating alternative ways to assess renal function in children with cancer. They are performing a detailed assessment using functional dynamic imaging of the kidneys and studying cystatin C, a biomarker for renal function that is not affected by diet or muscle mass. Understanding the changes in renal function that occur in children with altered renal function due to Wilms tumor will contribute to understanding kidney function in children. Since some drugs, including chemotherapy, are eliminated from the body by the kidney, this research may help provide information on how to select doses of chemotherapy in infants and children. Development of individualized dosing that uses patient characteristics, such as renal function that more accurately reflect the patient’s capacity to eliminate the drug, may reduce toxic effects and improve therapeutic effects of anticancer drugs.